The United Kingdom and Ireland Poker Tour is approaching its conclusion for 2014, but some great events were scheduled for September and October. Last weekend, another tournament was held and as always the tables were populated mostly by British players. This event has a national character, acting as a magnet for local players who dream about winning the British Poker Awards. The fact that the prize pool exceeded 1 million British Sterling pounds definitely helped in raising awareness, with hundreds of players participating. Qualifiers ran live at poker rooms over the Internet in the weeks and months preceding the tournament, with the most successful players booking a seat by winning these satellites. 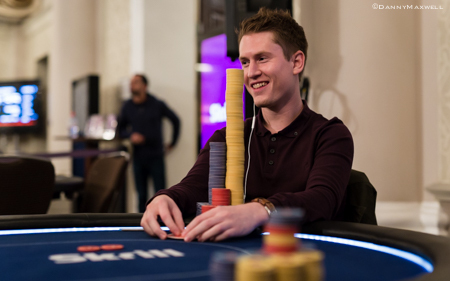 The tournament also enjoyed live coverage, so those who wanted to stay up to date with everything that happened at the table, had nothing more to do than to check out the Pokerstars blog at http://www.pokerstarsblog.com/tournaments/ukipt/2014/ukipt4-london-2-brett-angell-leads-final-151426.shtml. The projected paycheck for the winner was about £150,000 and the eight finalists had their eyes locked on the prize. Surprising enough, only three players were from the United Kingdom, with the rest being from all over the world, including one player from United States. The bubble burst with 25 players remaining but those who made the final table were the ones to win consistent amounts. The first four players were eliminated in a quick succession, but action slowed to a crawl when just four were left in the race. Only after Mark James from United States left the room, the game sped up a little bit and Brett Angell was the catalyst behind some of the biggest place. He challenged both Fabrizio Fuchs and Sandro Mescola until the latter finally cracked under pressure and committed his stack with an average hand. With Brett winning most of the chips, he was well-placed to take on the Swiss in the heads up, but he lost a couple of hands. The two players were evenly matched, with the Brit having a slight advantage and they decided to negotiate an arrangement and split the money according to their chips. Brett Angell got slightly more and action continuesd without a real stake and the player from United Kingdom emerged victorious.